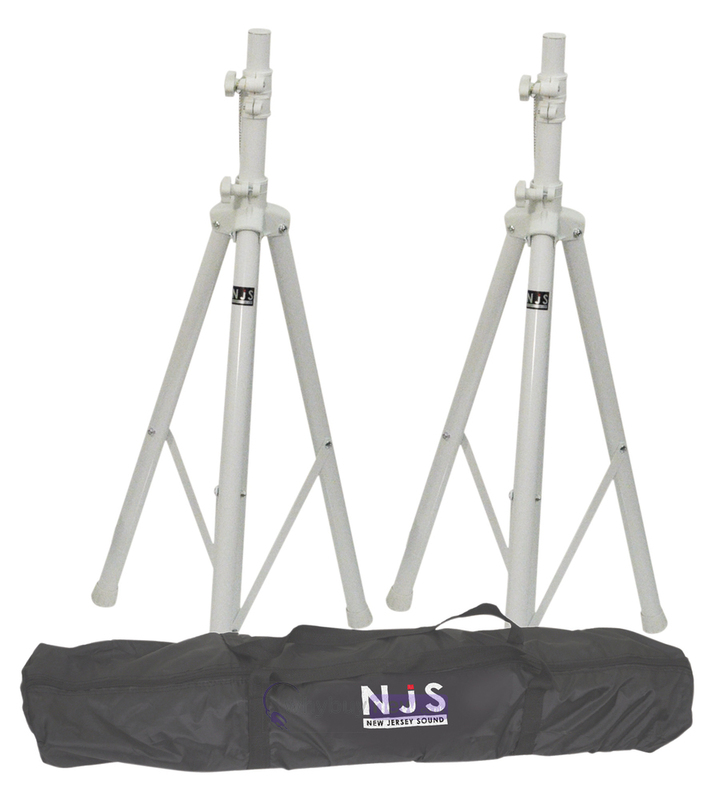 This unique white speaker stand kit from NJS is perfect for mobile DJs, bands, schools and events. 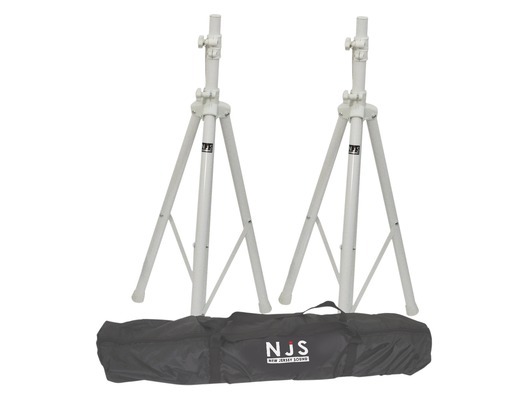 This speaker stand kit comprises of a pair of stylish white speaker stands, which are strong and reliable, and a carry bag for easy transporting & storage. 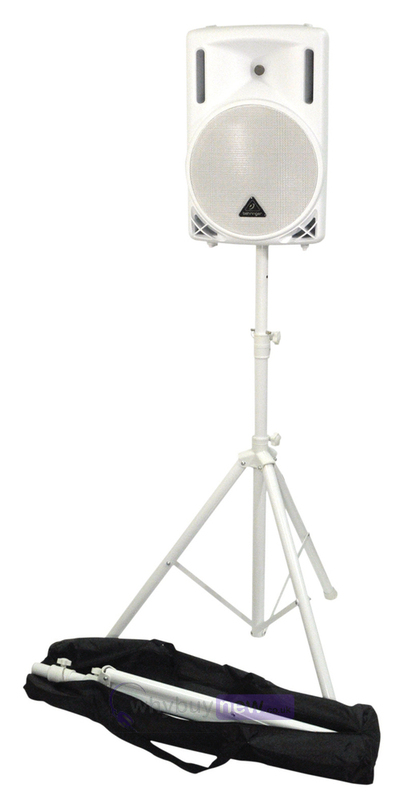 Each speaker stand is height adjustable from 1100 - 1700mm so they are ideal for most venues. 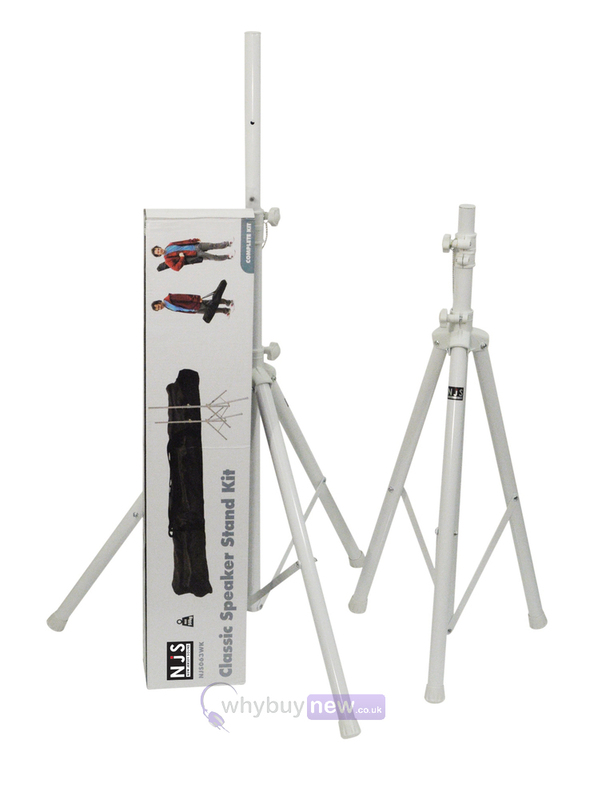 The speaker poles are a standard 35mm diameter and have a max. load of 45kgs, so they will fit most speaker cabinets. The carry bag is made from a lightweight material and helps to protect the stands in transit as well as making them easy to carry, zip fastened with a carrying handle.